Western Sugar hosted the USDA’s Foreign Ag Attaché Tour at the Scottsbluff, NE facility. As a site host, the Scottsbluff facility welcomed guests from all over the world including representatives from France, Malaysia, Ireland, South Korea, Thailand, South Africa, Switzerland, and more. 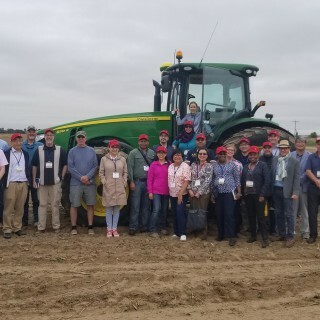 The international guests were able to understand the diversity of Nebraska agriculture and to see firsthand what high quality agricultural products Nebraska produces.